Many thanks to Ariel Lawhon for Monday's post on Reading Rules. She set a lovely tone for doing our part in talking about the books we read. Shh. 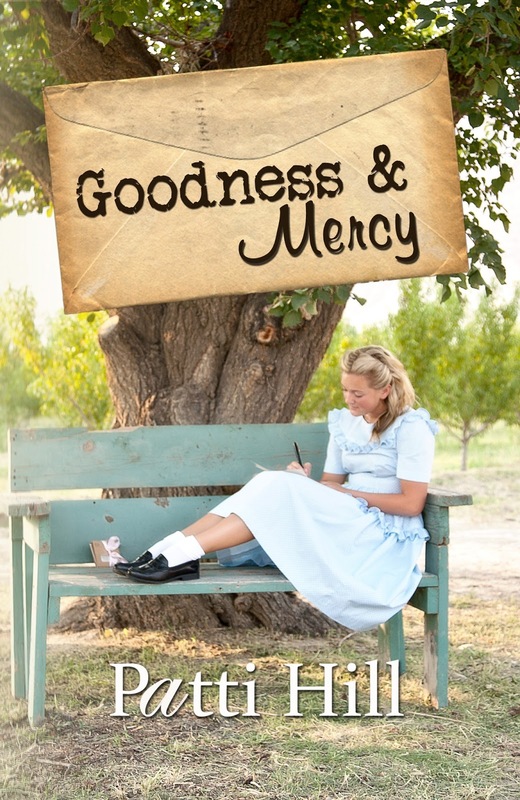 This knowledge is for Novel Matters readers only: Goodness and Mercy is now a "real" Kindle book and ready for purchase. I couldn't be prouder or more relieved. After all, I survived self-publishing, so far. Now, on to marketing. I couldn't be more intimidated. Word on the web and in the myriad of marketing books I've read on the subject is that two things sell ebooks. The first are reviews by bloggers, especially bloggers who specialize in ebooks. People who prefer indie books flock to these blog sites for what's latest in ebooks. But these specialized bloggers won't post about your book unless you have the second key ingredient in your marketing plan already in place: reviews on Amazon. As for reviews, I have none. Zero. Zilch. Nada. Ugh. But only you know the book is up and ready for sale, so I'm not too worried...yet. My plan was to give away 50 ebooks to Novel Matters readers and ask you to write a review for Amazon--only if you liked the book (more on that later). But if I give away books to potential reviewers, the reviews won't have that "Verified Amazon Purchase" label that adds credibility to the review. So I posted the book for the next best thing to free. It's .99 through Sunday. Since some of you are considering self-publishing, let me share why these reviews are so important and why I thought of you, the Novel Matters readers as the best people to ask to write them. Let's imagine we're together (Wouldn't that be a treat?) 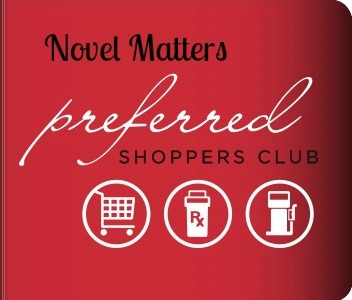 at the checkout counter at our favorite coffee shop, The Novel Matters, where there are free wi-fi and ergonomic chairs for all novelists. There's a tip jar at eye level with a few dollars and some shiny coins in the bottom. 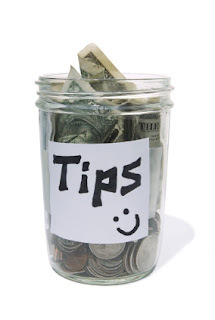 We think, People who buy coffee here are tippers. We should drop something in the jar. Fact is, savvy waitstaff will seed the tip jar with a few dollars and some shiny coins because they understand the power of social proof. 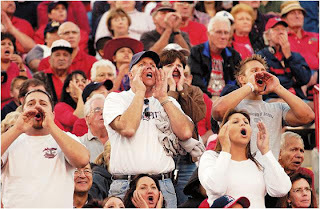 Social proof is how humans give behavioral cues. A healthy number of reviews on Amazon is social proof that a book is worth reading and worth writing a helpful review for. But only if you like the story. Of all the people I could ask, here's why I chose you: First, the goal is to provide honest reviews of Goodness & Mercy, warts and all. Over the years, I've learned you are honest about books because you care so much about the craft and art of storytelling. Second, I want insightful comments about the story and characters. You people are brilliant! And I'm not just saying that to butter you up. How did the book make you feel? Obviously, I'm hoping to average 4.5 stars as I have with my other novels. That means you won't all give me 5 stars, and I hope you don't. No book is perfect, even the ones we love. 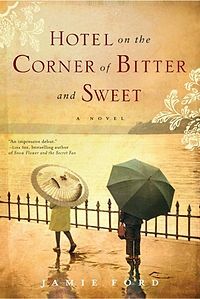 I just finished Hotel on the Corner of Bitter and Sweet. I've recommended the book with no reservations, even though I thought the middle dragged a bit. Did some skimming. But I LOVED the story. 4 stars! All businesses understand and use social proof, whether they do so consciously or not. We own a garden center. Every year, the local newspaper publishes a survey on which are the best restaurants, hardware stores, beauty parlors, and garden centers (among many other categories) in town. Readers vote and the winners are announced in a flashy insert in the newspaper. We've won the Best of the West Peoples Choice award for garden centers year after year. Until two years ago. Home Depot won! Two years in a row! Boo! Hiss! So we started asking our customers to consider voting for us as best garden center. (You can bet Home Depot encouraged their employees to vote.) I'm happy to report that Goliath fell this year. Our customers were more than happy to vote for us because we know them by name, we help them grow great gardens, we carry superior products, and we know how to use them. So, if you think I've written a story worth recommending, would you consider writing a review on Amazon? If you think it's a stinker, kindly keep that to yourself. If you're too busy to write a thoughtful review, I would happily receive a Yipee! Also, I promise to be very, very quiet about Goodness & Mercy from now on. Thanks for listening and thank you for considering helping me this way. Remember, Sharon Souza and Latayne Scott also have new releases on Amazon and would love a positive review. And if you've enjoyed a book by anyone, the best thing you can do to vote for that books--besides buying the book--is writing a review. 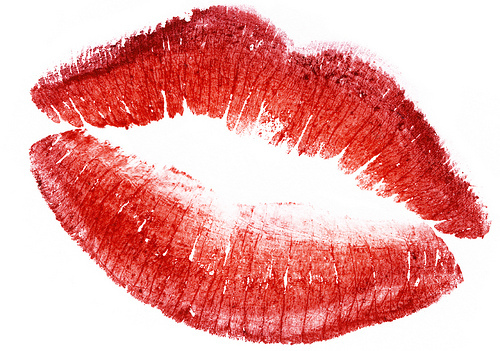 A review is a kiss on the lips for authors. Besides offering the book for free on it's release date (6/12) and occasionally thereafter, my plan is to pray that the book will end up in the hands God wants. Period. I'm too eager to get back to writing to overdo this marketing thing. BTW, the paperback will release on the same day...or whenever I get my act together. Find Goodness & Mercy here. Is giving you a lower price and asking you to write a review (4 or 5 stars only) ethical? Is there a better way to garner reviews? What have you done that worked? Didn't work? What marketing have you seen that piqued your interest in a book enough to buy it? How important are reviews to you in the book buying process? Great post! Yes, I downloaded your book and will write a review following your criteria. 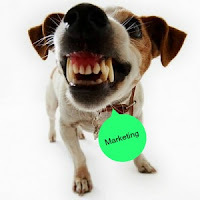 Suggestion: a powerful sales pitch ends with AFTO - ask for the order. Your link to amazon could easily be placed again as you close. Asking clearly for what you need without being whiney or manipulative. Thanks for the 99 ¢ book, Patti. Promising to write a review is like promising to pray for someone; I would rather do than promise. I am looking forward to reading your book. Seriously, I have about 10 percent left to read (yes, my Kindle tells me these things) of Goodness and Mercy, and the only reason I put it down last night was because I knew I needed to get up early this morning. And you can bet I'll be hopping over to Amazon as soon as I finish to leave a review. I realised yesterday afternoon that my brain had blurred the line between fiction and reality and I was thinking of these characters as my family members, and wondering how they were going while I was busy at work. (D'uh Megan, I think they're right where you left them). I'm a picky reader too, and I've always got a small part of my writer-brain switched on analysing the author's style, choices and handling of the craft. My writer-brain has been nodding and cheering "GO PATTI!" Totally, totally deftly handled craft. I haven't read the end yet. I hope it ends as beautifully as the middle promises. I'm notorious for hating endings. But seriously, come on people, it's only 99 cents? BUY IT!! This could not have come at a better time! I was looking for something to read while I wait in the oral surgeon's office for my daughter to turn into a chipmunk (wisdom teeth). You are very clever, Patti, to butter us up and lay out the goods nice and straight so we feel like we are doing a good deed and then setting before us what Megan describes as a totally deftly handled craft... a great read, a loveable story etc. Cherry: Thanks for your kind comments. If I'd known this when my traditionally published novels came out, I would have been much more proactive about getting reviews. I'm so glad you found your cent symbol, which you can see I have no idea how to access on my PC. Megan: Thank you! You certainly kissed an author today. Mwah! Henrietta: Happy to be available in a time of need. Pray your daughter enjoys--is that possible?--her days as a chipmunk. Chocolate pudding heals everything. And I hope you enjoy the story. Patti! Canadian Amazon is charging us $2.98! Worth every penny I'm sure! What? I changed all of the markets. I love Canadians! I'll check into it. Henrietta: I checked, and they should be charging you 1.00 Canadian. Hmm. It might be taking longer to change the price. This doesn't make sense, but that's our digital world. Keep checking back. If it isn't correct by tomorrow, let me know. I bought it! I bought it! I'll review it as soon as I finish Sharon's AMAZING Unravelled. I'm Canadian...I bought your book at the higher price (a small thing in acknowledgment for the education you are freely providing at Novel Matters) Would be reading it right now but my kindle needs recharging. I bought it at the higher price. I hope you get some of that, Patti. Don't let them say they sold it at 1.00 when they didn't. We have just arrived at Auntie's place and I am fully enjoying the ride. Thanks, Patti for sharing you imagination and talent. Latayne: Thank you, sweet friend. Marian: You're a dear for being so understanding. Henrietta: You're reading my story! I still find that a bit miraculous. Thank you!